You have a product that will fly off the shelves, but are struggling with your branding. You need a logo, but don’t have a clue how to design a great one. You could hire a designer, but you don’t want to spend your entire budget on your logo. This is a side project, after all. So, what do you do? We’ve got you covered. We’ve compiled a list of high quality, low cost logo generators to help you create your dream brand. You’ll be up and running with a beautiful logo in no time. Logos act as the face of your business. They’re a visual display of what your company stands for, and can be used to promote your brand both online and offline. While Shopify does automatically generate text-based logos for you, it’s still important to have a custom logo to define your brand and make your store stand out from the competition. 95% of the world’s top brand’s logos use one or two colors. 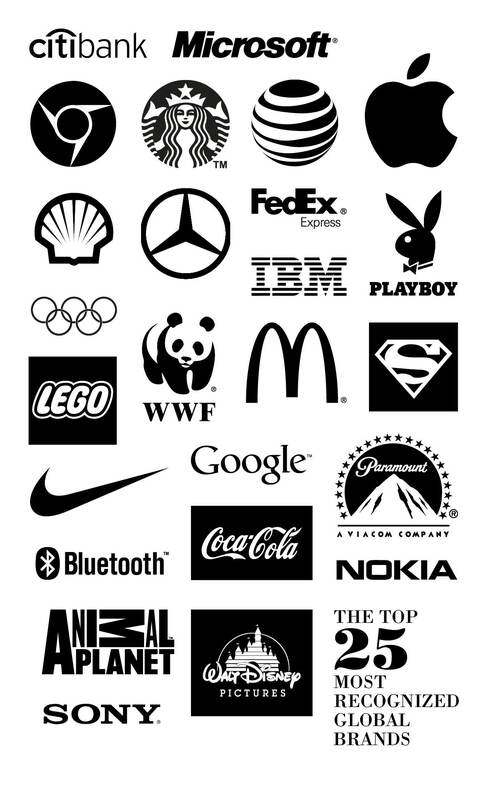 41% of those brands use stylized type as their logo. 93% are simple enough to be recognized at much smaller sizes. When thinking about which colors to use for your logo, read this article from Buffer, which explores why Facebook is blue and the science of colors in marketing. A logo must be simple: A simple logo design allows for easy recognition, and allows the logo to be versatile and memorable. Effective logos feature something unexpected or unique without being overdrawn. A logo must be memorable: Following closely behind the principle of simplicity is that of memorability. An effective logo design should be memorable and this is achieved by having a simple yet appropriate logo. A logo must be enduring: An effective logo should endure the test of time. The logo should be 'future proof', meaning that it should still be effective in 10, 20, 50+ years. A logo must be versatile: An effective logo should be able to work across a variety of mediums and applications. A logo must be appropriate: How you position the logo should be appropriate for its intended purpose. Oh, and want to see the exact color codes for some of the world’s top brands? Take a look at BrandColors. Here are some common mistakes that we’ve come across when digging through thousands of ecommerce logos. Be sure to avoid these critical design mistakes when using one of the online logo makers below. Avoid using unattractive clip art. Don’t make your logo overly complex. Make sure it looks good in black and white. NOTE: The generators that we’ll go over are fantastic for new stores looking to get their feet wet. These tools are great if you’re just starting out on a bootstrapped budget, but if you can afford it, we highly recommend investing in a professionally designed logo by a Shopify Expert who can really help you establish your brand. Hatchful is a mobile app for iOS and Android that helps you build a visual identity from scratch and right from the palm of your hand. Just answer a few questions about your business and Hatchful will suggest logos from hundreds of available templates. From there, you can customize your brand’s colors and fonts, and download all of the brand assets you need, including perfectly-sized images for all of your social media platforms. Logojoy makes the logo creation process much easier by asking you questions, just like a designer would, and automatically generating logos based on your answers. If you don't like any of the suggestions, you can request even more logos to choose from. Once you've selected a logo, it's easy to keep making changes until it's exactly the way you want it. Logo Maker by Ucraft is a free app for those who want to tap into their hidden design skills. You create a logo with the help of different fonts, icons and shapes. Then you're free to export your new logo in PNG format for free or in SVG format for $12. The result, you'll get a transparent, high resolution PNG file, so you can reuse it everywhere. GraphicSprings is one of the most powerful of the list. The amount of customizations you can make using their online logo creator is outstanding. It’s almost as robust as having a professional image editing tool on your computer. You can also hire someone from their team to create a totally custom logo for you, if you aren’t satisfied with their logo creator. The logo generator is free to use, but you'll need to pay $19.99 to save the design files. Like the other logo design tools, Logoshi will generate logos based on your inputs. What's cool is that if you're not happy with the logos generated, you can sketch your own custom logo. All you have to do is roughly draw what you’d like your logo to look like and enter your ecommerce store name. It will automatically create a stunning logo for you in seconds. This is perfect if you’re looking for something truly custom without the big price tag. Although Logaster may not be as up to date as the previous tools, it still has an enormous amount of logos available through their generator. You’ll be able to browse through hundreds of logos, all of which are extremely customizable in terms of name, slogan, business type and color. You can download low resolution logos for free and high resolutions for about $9.99. Now you have a great idea of where to get started with your brand’s logo. So get inspired and get creating! With all of the logo design tools and resources above, you're well on your way. If you have any tools or resources that we may have missed, let us know in the comments below.